​Peppa world, the world of the obnoxious little porker we all have a love hate relationship with as she entertains our children in her cheeky petulant way. So why did we go? Well for our children of course! For me the thought of spending 6 hours, yes 6 hours in the surroundings of the pink piggy is enough to make me throw up. But off we went from our holiday home, Sarah’s words, in the Cotswolds down south for nearly 2 hours. I must preposition that my previous experience of these type of parks is limited, having really only visited Universal world in Singapore and a few minor theme parks. I also had heard some really scary stories about queue times and restless children which didn’t fill me with joy. So let me begin…It was actually OK, in fact more than that it was quite enjoyable. Yes I said it, I’ve reread it and stick by it, I enjoyed it! The queues weren’t too bad, yeah they were about 15/20 minutes average but if you bring enough snacks and juice the kids will be fine, it’s the adults who can get a little restless! In a way this helped as we could split up and take the kids to the playground on site whilst the other stayed in line, winner winner roast pork dinner. That said the helicopter ride, not an actual helicopter you understand, but Ms Rabbit’s rescue helicopter had a long long (60 minutes) wait which we steered clear off. The one thing that stood however was… A hot dog stall! Yes a stall selling little sausage shaped momentoes of Peppa you can take home in your tummy. I do realise those American style hotdogs contain marginal meat content but in the absence of a bacon sandwich.. Mmm… this was the closest little victory I could get, and it was gggooooooddd! 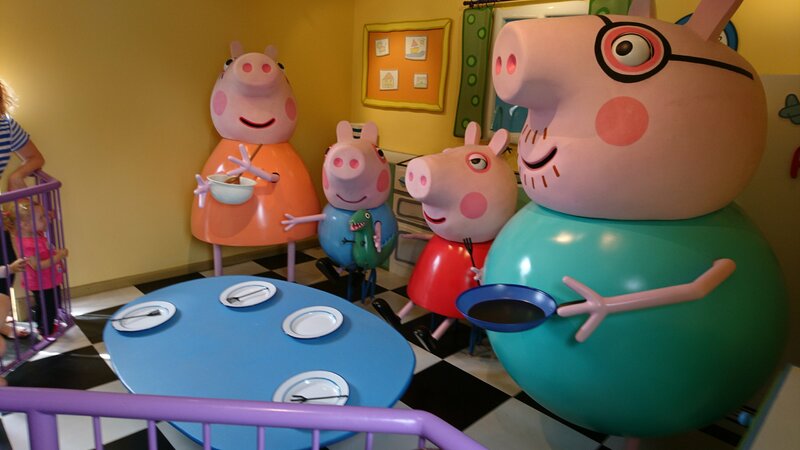 So what would be my top tips for a visit to Peppa World? 1, Get there for opening, we didn’t notice the time pass and before we knew it, it was 4 pm! 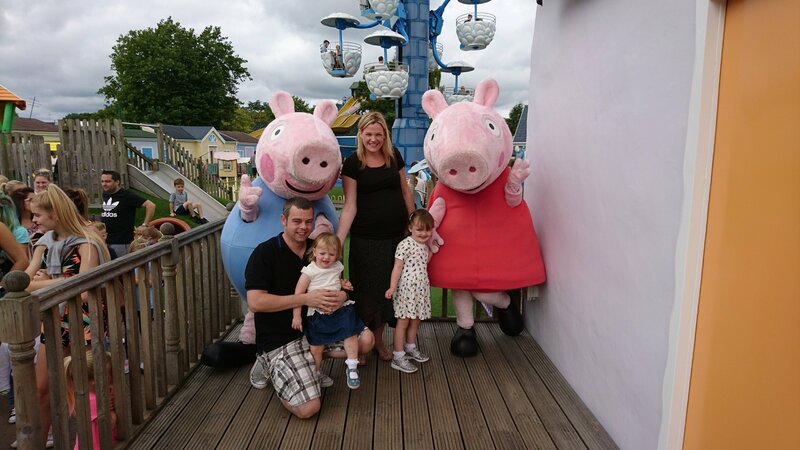 2, Try to get to the busiest rides whilst the meet and greet Peppa happening, it draws crowds in. We queued just before the meet and greet opened to save time and ensure we didn’t miss it too. 3, Try to remember where your pram is. Sounds obvious but as you jump from ride to ride it becomes tedious to bring it with you but in a sea full of prams it can be difficult to find! 4, Download the paultons app as it gives a good idea of wait times for rides. Signal your and miss on site though. 5, Make time to try to see even a bit of the rest of paultons. We went to the lost world for an hour which had a number of child friendly rides, even with the youngest being just under 1 metre..
I’m off to have a bacon sandwich but if you have any questions please feel free to give me a shout..